My skywatch this week. 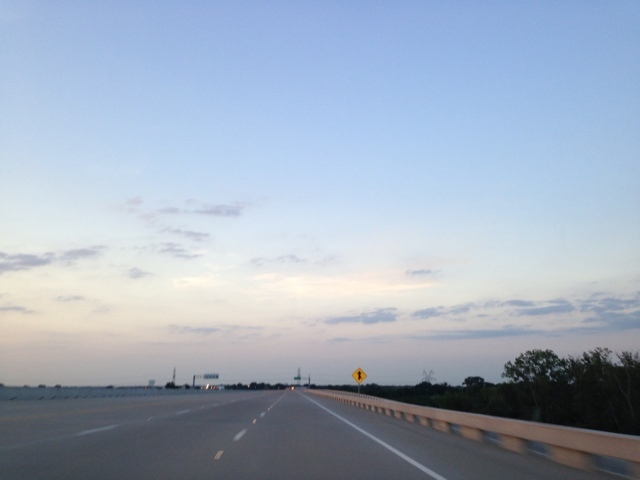 I took the top picture while driving 70 mph on George Bush tollway. I did not take my eyes off the road. I just grabbed my phone with one hand and took picture without looking at it. I took about a dozen, and this what I can find still on my phone. This one, I took by the train tracks near my workplace. The wildflowers were in bloom, and I cannot resist it. Wide open skies and wildflowers, beautiful! 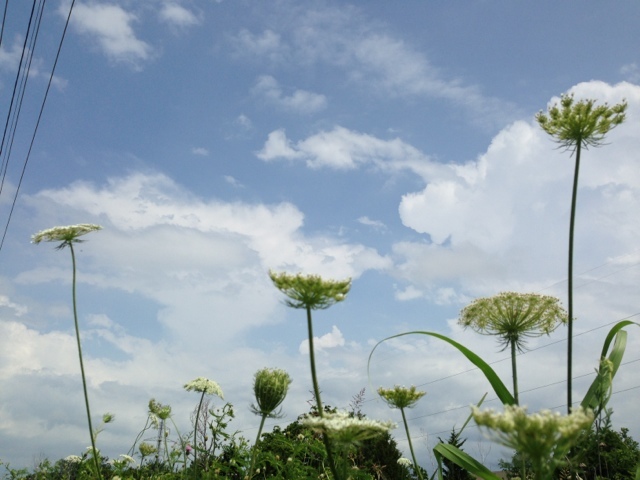 Lovely open sky and wonderful wildflowers. I'm also guilty of taking driving shots. I try to be extremely careful and cautious... using a cell phone or point-and-shoot, you can keep both hands on the wheel and your eyes on the road. These are excellent. Looks like you were in light traffic- nice shot of the clear blue sky! I love your big skies! !